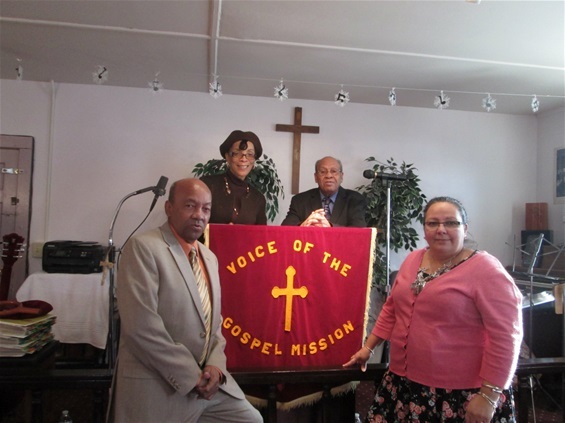 Left to right Pastor Dennis Johnson, Andrea Batts, Evangelist Richard Johnson, Pastor Ranaye Corley. Stand ready to meet the spiritual needs of God’s people. 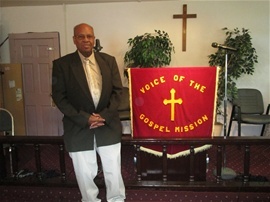 Baptisms, and Funerals.’ For information phone (845) 344-1982. Hi, my name is Rev. 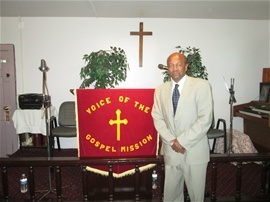 Dennis L. Johnson, pastor of the Voice of the Gospel Mission Church, located in Middletown NY. Work History: retired from Sam’s Club in Middletown NY after serving twenty-two years. Work Title: Forklift maintenance, Safety Coordanater. I am married and have three grown children who blessed my wife and I with three great son-in-laws, as well as five wonderful grandchildren and one great granddaughter. In 2011, I became acquainted with writing and had written several short articles for Yahoo Contributor until they discontinued their writing platform in 2014. I have also written several short articles in 2011, for Author Stand until they also abolished their writing platform. I am the author of the book, “NO TIME FOR GOODBYS” published in 2016, by Rev. Dennis L. Johnson, and printed in the United States of American by Create Space. You can purchase the book from Amazon or one of their book distribution outlets. I have a Face-Book account, a Twitter account, and a Youtube account. Writing and sharing the Gospel with God’s people. Becoming a better writer and especial when writing about the Gospel of Christ. Andrea Anderson Batts was born 64 years ago on August 11th to Andrew Early and Mazie Anderson in Brooklyn, New York. She is the youngest of 6 children in the family. The surviving members of her immediate family are her sisters Jean Dowell of Brooklyn, New York and Gail Bullard of Columbia, South Carolina. Andrea is the loving Auntie/Mom for her nephews Cornelius McAdoo and Victor Anderson McAdoo and their immediate families. Andrea is the spiritual sister in Christ of her dedicated brother-in-law Jesse McDowell. Andrea’s early years were happy growing up in Brooklyn where she eagerly attended school. She graduated from Franklin K. Lane High School and went on to receive a Bachelor of Arts Degree in Education from Hunter College, a Master’s of Science Degree in Early Childhood Education from City College and an Advanced Degree in Educational Administration and Supervision from Brooklyn College. Andrea dedicated her entire professional career to teaching children and adults. She taught preschool children as well as college students. Andrea went on to serve as administrator of child care programs in NYC and later as the Executive Director of the Bureau of Child Care of the New York City Department of Health and Mental Hygiene. There she was responsible for the safety and health of all children attending child care in NYC. Heeding to God’s call on her life Andrea retired in 2013 after 35 years of service to the children, adults and families of NYC. Her retirement paved the way for full time work in the ministry. Andrea was born again and baptized in 1981. 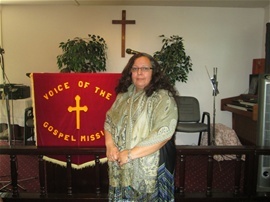 She dedicated herself to the work of the ministry teaching Adult and Children’s Sunday school, served on the Usher Board, Pastor’s Aide Coordinator, and member of the choir and served on Community Outreach Committees. Andrea was ordained as an Evangelist in 2011 by Bishop Eugaston Davis, Jr. of New Hope Apostolic Church of Christ in Brooklyn, New York. 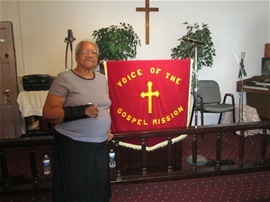 There her teaching and preaching ministry began under God’s anointing and direction. After her retirement Andrea moved permanently to Middletown, New York and began the search for a new church home. 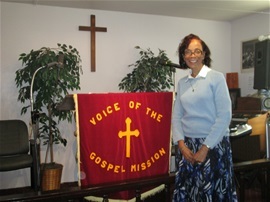 In 2016 God lead Andrea to worship at the Voice of the Gospel Mission. Since attending Andrea has become active in the Sunday School, Praise and Worship Ministry, the Music School, the Bible Class, the Prayer Ministry as well as teaching God’s word in a sermon on a monthly basis. Now Andrea comes before the congregation as a candidate for ordination.